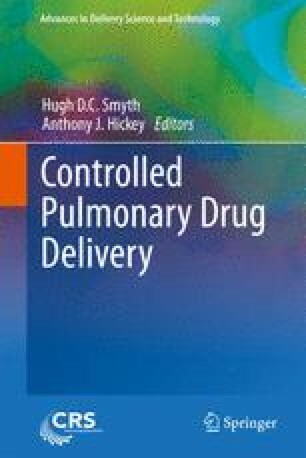 This chapter aims to provide a rational for the use of nanoparticles in pulmonary delivery as well as an overview of strategies and physiological implications of nanoparticle delivery to the lungs. Formulation aspects of nanoparticle systems in the form of liquid dispersions and inhaled dry powders are also reviewed. The chapter also addresses the expanse of lung toxicology research surrounding the inhalation of nanoparticulate pollutants present in the environment. The observations of the adsorption, distribution, metabolism, and excretion (ADME) of these insoluble nanoparticles may lead to a greater understanding of biological interactions of inhaled drug nanoparticles and their ultimate site of action.